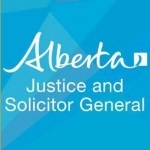 Government of Alberta - Karen A. Crowshoe has been appointed to the Provincial Court of Alberta, Calgary Criminal. Crowshoe received her Bachelor of Laws degree from the University of British Columbia and became a member of the Alberta bar in 1994. Her legal career has focused largely on providing counsel for First Nation governments and agencies in matters such as treaty rights, specific claims, on-reserve business and economic development and First Nation elections and governance. She also has extensive experience in the development of on-reserve child welfare services and on-reserve governance legislation. A member of the Piikani Nation, one of three First Nations that comprise the Blackfoot Confederacy, Crowshoe continues to be a dedicated representative of her community and supporter of First Nations in southern Alberta, including as a member of the Iron Shirt Culture and Heritage Society, which is committed to the preservation of Piikani culture and traditions. Her community work includes serving as a youth mentor with the United Way of Calgary and as a board member for the Piikani Youth and Education Foundation. She also taught native studies courses at the University of Lethbridge and Red Crow Community College.